An 1850s general operating set of amputation, trephining, ophthalmic, and urological instruments by George Tiemann & Co., New York. The set is unusually compact. Note, for example, that the tourniquet must be taken apart for storage. 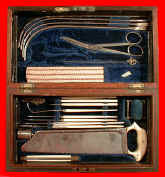 (The tourniquet strap is in the upper lid and the buckle is in the lower lid just above the handle to the capital saw.) 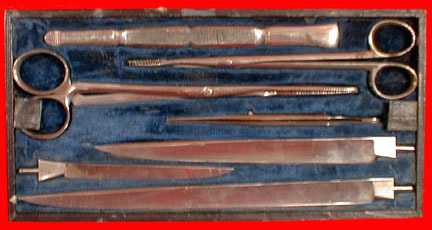 The handles are ivory and the three large knives and the trephine share the same handle. 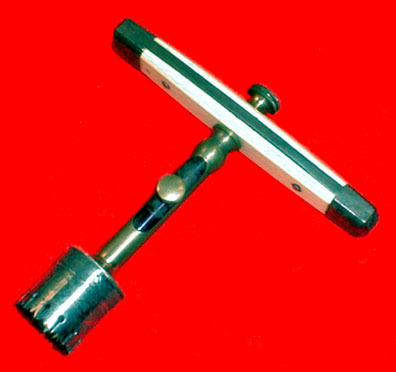 The Parker capital saw is uniquely diminutive and its total length is only eight-and-a-half inches! The set includes a very rare Moses' bullet extractor, which was invented by Israel Moses, a U.S. Army surgeon during the Mexican War and the Civil War. This is the first example of the extractor known to this historian. The instrument is illustrated in the Tiemann catalogues and mistakenly called Moses' bullet extractor. 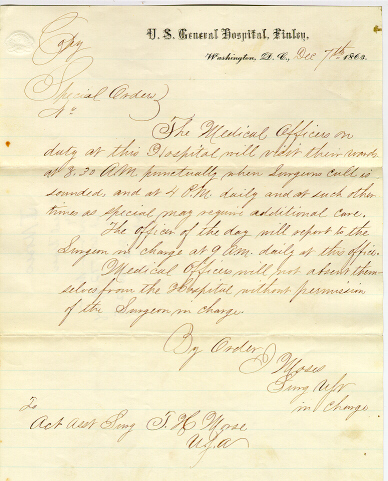 Below is an 1863 Civil War document written by Surgeon Moses, the inventor of the bullet forceps. 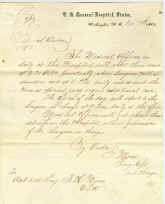 As the head of U.S. General Hospital, Finley, Washington, D.C., Moses gives directives to the surgeons under his command. 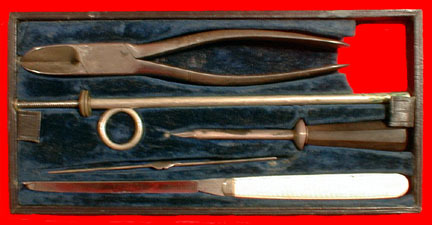 As mentioned in the description of the surgical set, the Parker saw is exceptionally small. Here is the saw shown in a true-to-scale comparison with a c. 1830s capital bow saw that was also made by George Tiemann & Co, New York.